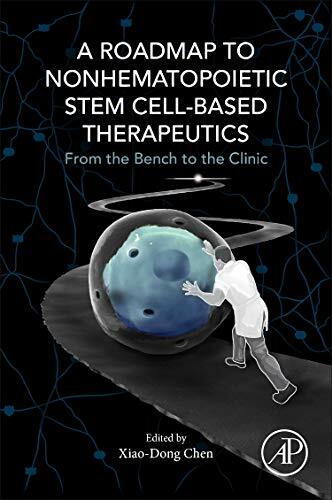 A Roadmap to Non-hematopoietic Stem Cell-Based Therapeutics: From the Bench to the Clinic is a resource that provides an overview of the principles of stem cell therapy, the promises and challenges of using stem cells for treating various clinical conditions, and future perspectives. The overall goal is to facilitate the translation of basic research on stem cells to clinical applications. The properties of stem cells from various sources are reviewed and the advantages and disadvantages of each for clinical use are discussed. Modifying stem cell properties through preconditioning strategies using physical, chemical, genetic, and molecular manipulation to improve cell survival, increase cell differentiation potential, enhance production of paracrine factors, and facilitate homing to the site of injury or disease upon transplantation are reviewed. Various routes of stem cell administration and dosing, and the duration of effects, are explored. Individual chapters are written by experts in the field and focus on the use of stem cells in treating various degenerative diseases, autoimmune diseases, wound healing, cardiovascular disease, spinal cord injury, oral and dental diseases, and skeletal disorders. Finally, experts in the regulatory arena discuss mechanisms used in different countries for approving the use of stem cells to treat diseases and many common issues that are typically encountered while seeking approval for this class of therapeutic agent. Stem Cell Therapeutics for Cancer covers the application of stem cells in various cancers, with an emphasis on the aspects of these strategies that are critical to the success of future stem cell-based therapies for cancer. Topics covered in the book include stem cell sources, tumor specificity, targeted therapeutics, visualizing the stem cell, and therapeutic agent pharmacokinetics. Each chapter contains a brief introduction to the cancer, followed by an exploration of how engineered stem cells have been utilized to cure the disease in mouse models and in early phase clinical trials.